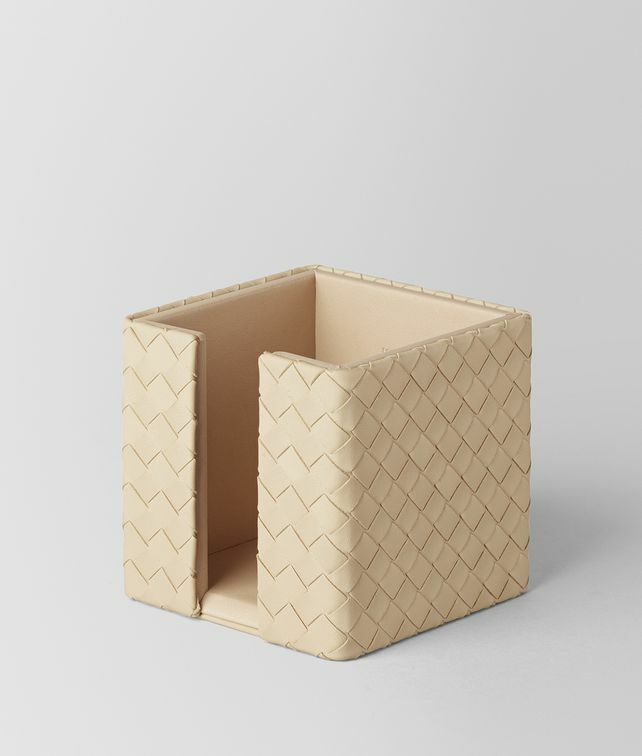 Add a stroke of sophistication to the office with this elegant memo holder. It's crafted from intrecciato nappa leather and comes with paper included. Depth: 11.5 cm | 4.5"
Height: 11.5 cm | 4.5"